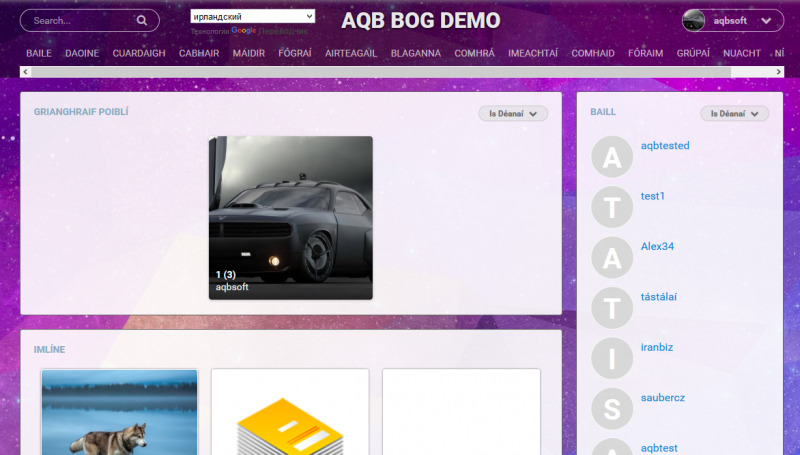 This module allows to translate your site to more than 90 world's languages. 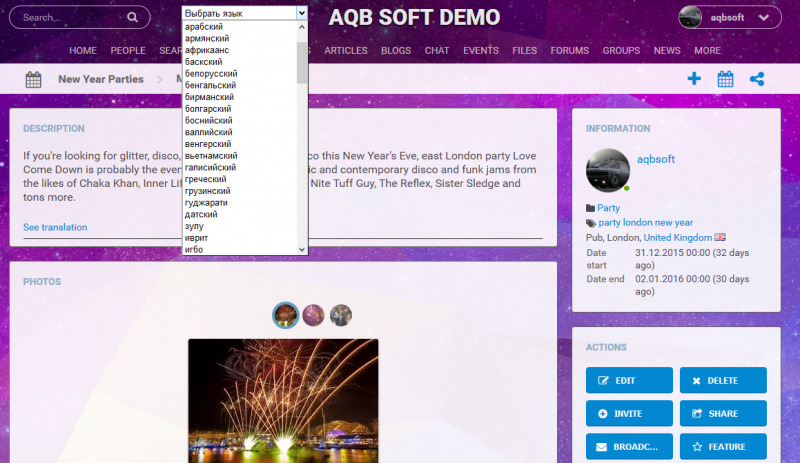 It helps to remove language barriers among people and make it available for each person in the world, because now users may translate every comment and description block on the site on his/her own language or the whole page. 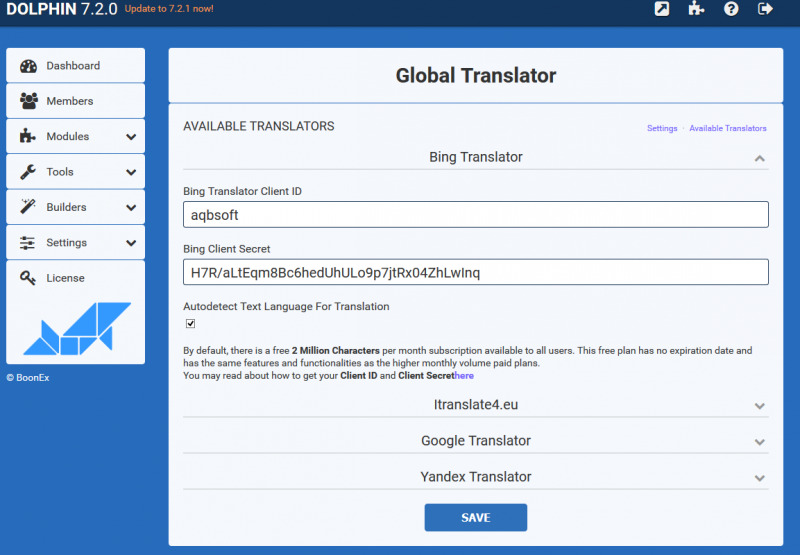 We integrated 4 most popular and quality translation services (Microsoft Bing Translation, Google Translation service, iTranslate and Yandex Translation Service). Now you don't need to translate description blocks' content in different modules. Each member and guest may choose language or just use auto detect feature to translate description on his/her own language. The same feature is available for blocks with comments on any area of Dolphin's script. These abilities can increase the interest of new users to your site and make it absolutely readable for everybody. Each of integrated translation services has free trial period or free monthly characters limits. If you are not satisfied with them, you may choose another plan following your requirements. Also we have added clever cache system, which allows to translate text only once and all other members/guests who tried to translate the same peace of text, will not require data from services again, it helps to save your time and money. Use translator for description blocks of any module of your site. Use translator for each comment on the site. Automatically detect member/guest's language and translate text into it. 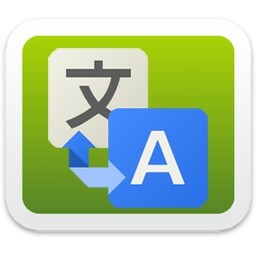 Enable Auto detect text's language ability for translation. Allow to enable/disable translators depends on membership level. 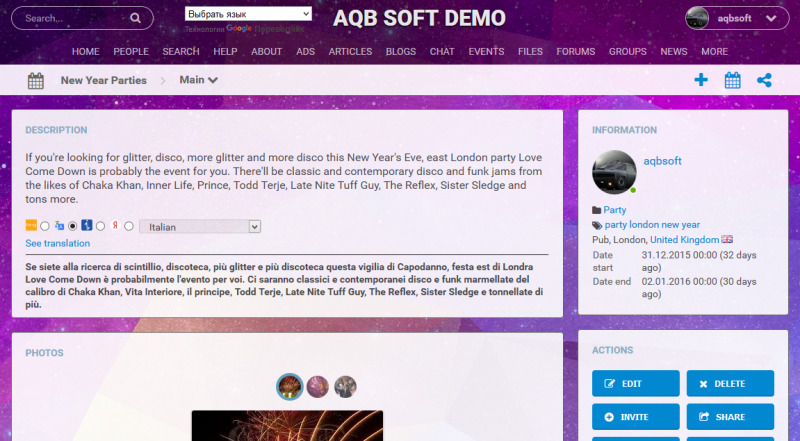 Now any site becomes multilingual and open for people from all over the world speaking different languages! Installation is very easy and doesn't require any special changes in code. Just upload and click install button.